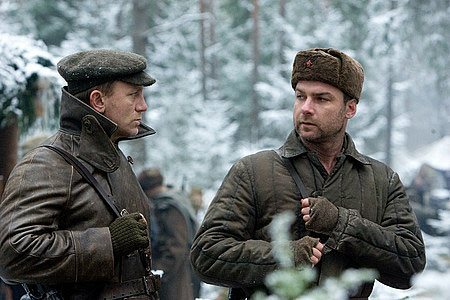 The year is 1941 and the Jews of Eastern Europe are being massacred by the thousands. Managing to escape certain death, three brothers take refuge in the dense surrounding woods they have known since childhood. 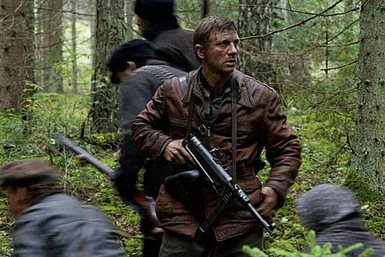 There they begin their desperate battle against the Nazis. At first it is all they can do to stay alive. But gradually, as whispers of their daring spreads, they begin to attract others - men and women, young and old – willing to risk everything for the sake of even a moment’s freedom. 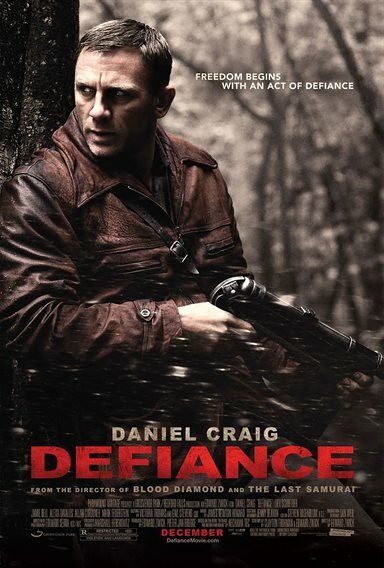 Download Defiance in Digital HD from the iTunes store. Defiance images are © Paramount Vantage. All Rights Reserved. Defiance images © Paramount Vantage. All Rights Reserved.